The "Dolly Parton Buildings," as locally known, may be known more officially as the Proctor and Gamble corporate headquarters, but, either way, form two of the more recognizable and instantly identifiable buildings of Cincinnati's skyline. I share this image because in his book Lincoln's Labels: America's Best-Known Brands and the Civil War, Jim Schmidt shows how P&G, along with several other companies still well-known today, survived, thrived, struggled and adapted during the long and bloody Civil War of 1861 to 1865. Before I start the actual review, however, I wish to point out a couple of tidbits from the book that interest me not because of anything that most people would find significant, but, rather, due to a few "connections" I found between this book and my own life. Perhaps readers of the blog may not care about such trivia, but I found this stuff fascinating and it did add to my enjoyment of this fine book. 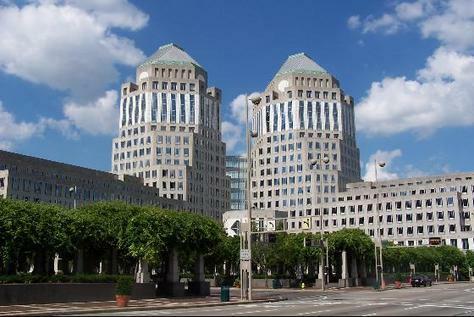 First of all, I live in Northern Kentucky and work in downtown Cincinnati, and P&G is one of the big names in local industry. Plus, as I look at my washer and dryer, I notice a container of Tide detergent sitting on the floor, so clearly P&G has a presence inside my abode. Additionally, other companies profiled in the book include Tiffany's and Brooks Brothers. Well, in the office building in which I work, sit a couple of storefronts I see every day - Tiffany's and Brooks Brothers. Neither has any history in Cincinnati, nor really any significance to me, but as I walk past these stores each day, I now do look at them a bit differently after reading the stories of their existence in the midst of war. Gail Borden, inventor of a famed milk product, lived briefly in Covington, KY during his youth. That city is only a few minutes from where I live. Now, enough of my own self-serving observations, and on to my thoughts about this book. One cliche in Civil War writing is that with so much written about the war, how can anybody find something new to write about? Well, as Schmidt, author of a "medical department" column in the Civil War News and publisher of blogs about Civil War Medicine andNotre Dame in the Civil War (as he works on a book about the same subject), shows, a hard-working researcher can find new information and perspectives about the Civil War even almost 150 years after it began. Though I suppose this book could be considered more "business history" than Civil War history, it is interesting to the Civil War student because it shows how these companies affected the war and or the soldiers that fought it, and demonstrates how the war affected several companies that are still well-known today, even if their missions have changed. Non-history students often ask why what happened in the past matters today, but this book gives several examples of answers to such a query. 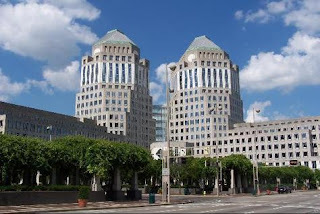 Would P&G have grown into the international company it now is, if it had not benefited from attention it got during the war, even if that informal advertising came in the forms of soap boxes used for seats and benches in Civil War camps? How many people today have drank Borden's Condensed Milk, a product that also gained fame during the war? Dr. Edward R. Squibb made medical advances in the antebellum years, but was able to expand his influence and production during the war. How many people have benefited from his work, as it lives on through Bristol-Myers Squibb? Besides these examples of why history is important, the book is simply informative and enjoyable. It is well-written, very readable and understandable. It is not a chore to get through this book - in fact it is a very quick read, both because of the style of writing and due to how enjoyable the subject becomes thanks to the author. I have never read much corporate history, and I doubt I ever will, but the author's ability to tie the history of these companies to the Civil War certainly caught my interest and attention. Two seemingly disparate subjects - corporate history and war history - bond together seamlessly in this narrative. One small complaint I found with the book was that it's too short, with only 164 pages over seven chapters. Of course, this is as much a compliment as a complaint, as I simply wished to read more stories of other similar companies and their survival stories. I did not want it to end, which is one of the best compliments I can pay any book. At the end of the book, Schmidt includes a very nice bibliographical essay about the sources he used, showing how thorough his research was and how many potential sources of material exist for such a book. In hindsight, there was one other small, perhaps barely relevant, thing I did not particularly like about the book - the sad ending of the final chapter. It is appropriate and powerful, a very fascinating piece to include in that chapter about express companies, but it did make me a bit sad to have such an enjoyable book end on such a note.Still, it's hard to consider this to be much of a complaint. All-in-all, Lincoln's Labels is a well-written, deeply-researched book that is very enjoyable, informative and readable. 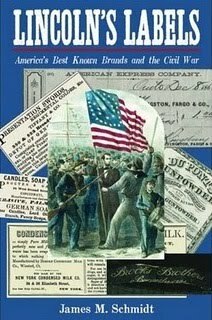 It explores a new area of study about the Civil War and does so with a topic that is still very relevant in today's world, through the exploration of the histories of several companies that remain in business today. It is certainly a book that Civil War students or historians will want to find a place for on their shelves. You're welcome. I really enjoyed it, both due to some of the silly stuff I mentioned, but just as much or more due to the subject and the writing.